Teenagers being used by criminals to peddle crack cocaine could be racking up large debts, an expert fears. Hugh Greaves, co-ordinator of the Ballymun Local Drugs Task Force, said there was serious concern in the area over the recent upsurge in crack cocaine use. He said more funding and garda resources were needed to help tackle the problem. Mr Greaves said there were fears over teenagers being used by organised crime gangs to push drugs in the area. He insisted it wasn't just a problem in Ballymun and added that there is positivity in the area away from the drugs issue. A huge amount of young people are involved in sports and youth clubs in Ballymun too, he said. "We'd be very worried about some, but not all, young people who seem to be used in those kind of networks for those kind of purposes and we'd be very worried about the level of debt they might have," he said. "They might owe some money to people, so they're under their control while they owe a few bob and that sometimes has huge stress on families. "We'd be very concerned that there's a deliberate use of young people for those kinds of purposes." Mr Greaves said the task force would support "Fagin's Law" coming into effect. The law would allow the prosecution of adults who groom children to commit crimes. 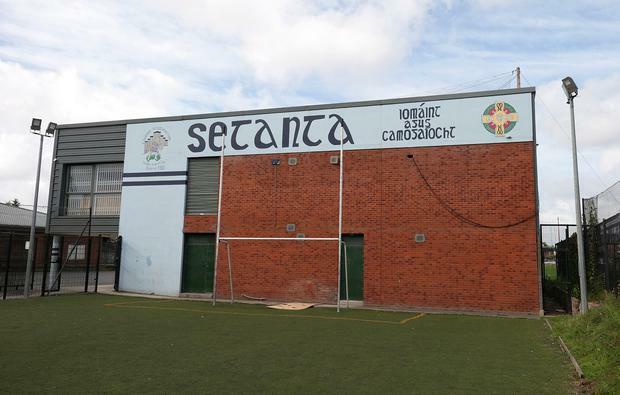 His comments came after local hurling club Setanta GAA wrote to Drugs Minister Catherine Byrne about the major issues in the area. In the letter, the club said the use of crack cocaine had increased tenfold in Ballymun and was now at epidemic levels. It also highlighted the grooming of children to push the drugs. "The number of users walking the streets like skeletons is a minute-by-minute event for us all to see," the letter said. "We as a GAA club for Ballymun are at the front line, daily dealing with the ramifications this cancer in our society brings, while also trying to educate about its evils through our club drug awareness programmes. "We as a community organisation see young people being groomed into dealing on a weekly basis due to our Government's failure to deal with the youth unemployment in our community, while also cutting resources in other areas such as housing, youth development and policing," the letter added. The loss of funding was one issue, Mr Greaves said, that has exacerbated the issue. He added he hoped the minister - when she responds to the letter - will address this issue in particular. Among other social issues associated with the increase in crack cocaine usage is the antisocial behaviour that comes with it. "Our heroin numbers have been going down, but certainly there has been an increase in crack cocaine use and all the related activity that goes around crack cocaine," Mr Greaves said. "The things that the community would be witnessing are an increase in aggressive begging, theft, shoplifting and more serious burglaries."